Atomic Strength Nutrition Resurrection Review | Buy or a Scam? 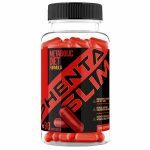 Some diet pills are aimed at people who do not want to diet or exercise in order to lose large amounts of weight, but Atomic Strength Resurrection is aimed at those who want to burn fat but build muscle at the same time. In this review, we take a closer look at the Atomic Strength Nutrition Resurrection to see if it lives up to the bold claims that it makes on the official website, or whether you’re better off spending your hard-earned cash elsewhere. Atomic Strength Nutrition Resurrection is a supplement that claims to burn fat and build muscle. It can be used as a morning enhancer, a pre-workout or post-workout recovery supplement, or even as an afternoon booster. It can be combined with other products to create a stack. It contains a range of stimulants, energy and metabolic boosting enhancers, and branched chain amino acids. It comes in a powder formula, which is mixed with water. What Are The Side Effects Of Atomic Strength Nutrition Resurrection? No side effects have been associated with this supplement, however, some of the ingredients have side effects. Although Tyrosine is tolerated generally, even in very high doses, it can cause some side effects including nausea, headache, fatigue, heartburn, and joint pain. Supplementing with arginine can cause some side effects such as abdominal pain, bloating, diarrhoea, gout, blood abnormalities, allergies, airway inflammation, worsening of asthma, and low blood pressure. There are also several sources of caffeine in the product. The amounts of each caffeinated ingredient are unclear, as it is a proprietary blend, so it is not clear whether it is safe for people with a low tolerance to caffeine. It can cause insomnia, anxiety, increased heart rate, and palpitations. 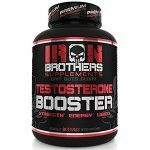 How Much Does Atomic Strength Nutrition Resurrection Cost? Atomic Strength Nutrition Resurrection costs $39.99 on the official website (1-month supply). Shipping is free to the US on orders over $79.97. The ingredients are pretty solid in this product, which is obviously a big positive. There are multiple sources of caffeine in there, which should give you a boost of energy, and the various amino acids. However, the fact that the manufacturer has decided not to be completely transparent about how much of each ingredient the product contains is always a big thumbs down for us. There is also very little information about the company. 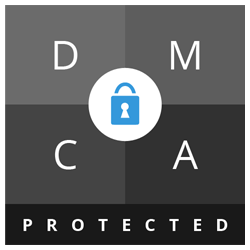 We like to know as much about the company as possible, to understand their ethics and ethos. We can’t seem to find out much about Atomic Strength Nutrition. With all of this in mind, we do not recommend Atomic Strength Nutrition Resurrection to our readers. Atomic Strength Nutrition Resurrection is a fat burning and muscle building supplement. 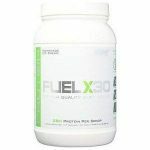 It can be used in a variety of ways, to suit the user: as a morning enhancer, a pre-workout or post-workout recovery supplement, or even as an afternoon energy booster. 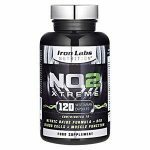 It can be combined with other products from Atomic Strength Nutrition, such as the Creatine supplement, to create a stack. It contains a range of branched chain amino acids and energy and metabolism boosting ingredients. It comes in a powder formula, which is mixed with water. Atomic Strength Nutrition Resurrection is a supplement is formulated with several stimulants and energy and metabolism boosting ingredients, which aim to help the consumer build muscle and burn fat. Combine one to scoops with 10-20 ounces of cold water. Resurrection is a unique product that can be taken anytime. You can use Resurrection as an AM enhancement, pre-workout, post-workout recovery and even afternoon pick me up. 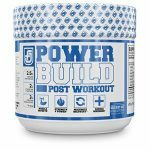 Combine with Creatine Matrix after a workout for optimal results. Atomic Strength Nutrition was founded in 2013 and is based in El Paso, Texas. 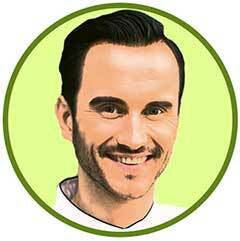 The founder and CEO, Marcus Soto, started it up with one goal in mind: deliver quality products that actually work. What Does Atomic Strength Nutrition Resurrection Claim To Do? 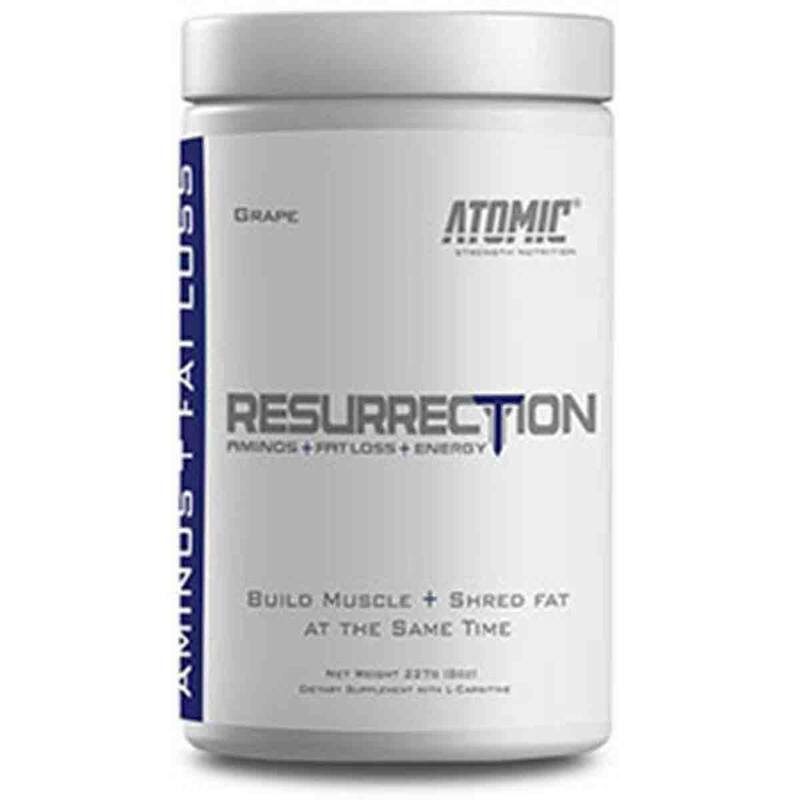 Atomic Strength Nutrition Resurrection claims to help users “take control of your strength and recovery…a hybrid supplement built with clinically formulated ingredients. Shred fat build muscle and boost energy levels and hydrate muscles for faster recovery, with a supplement to be taken anywhere, anytime”. Does Atomic Strength Nutrition Resurrection Work? There are some ingredients in there that will have a positive effect on weight loss and muscle bulking, such as the branched chain amino acids. However, we are unsure of how much of each ingredient the supplement contains, so it is difficult for us to say how effective it would be. What Are The Ingredients of Atomic Strength Nutrition Resurrection? Please note that the quantity of many of the ingredients are unknown. Instantized Branched Chain Amino Acids (L-Leucine, L-Isoleucine, and L-Valine): These branched-chain amino acids are used by the body as a building block of protein, which is what muscles are made from. Isoleucine appears to promote glucose consumption and uptake. It also plays a role in inducing muscle protein synthesis Whilst dieting, supplementing with Leucine could help to maintain muscle mass whilst still losing fat mass, as it is used to help fuel muscle. L-Valine appears to play a small role in stimulating protein synthesis and promoting glucose consumption and uptake. L-Taurine: This is an ingredient often found in popular energy drinks, although the reason why is not clear. It is an amino acid that helps to build protein and some claim that it helps improve athletic and mental performance. L-Arginine: This is an essential amino acid which is found in many foods and can be made by the body. It is important for wound healing and circulation and is thought to boost the levels of Nitric Oxide in the body. However, supplementing L-Arginine has a very limited effect as it has poor absorption levels. L-Glutamine: This is an essential amino acid, which is a building block of protein. It is the most abundant free amino acid in the body, and is produced in the muscles and distributed where it is needed via the circulatory system. Supplementation can only help to build muscle in limited circumstances, as most people consume sufficient stocks of glutamine from their regular diet or from protein powders. 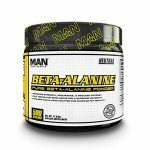 Carnosyn Beta-alanine: Beta alanine has been proven multiple time to raise the levels of muscle carnosine in the human body, which has the effect of increasing the amount of work athletes can perform in high-intensity workouts. Its use is accompanied by a distinctive “tingling” sensation in the muscles. L-Citrulline: L-Citrulline is an amino acid. It is turned into L-arginine in the kidneys after supplementation, which means L-citrulline supplementation is a more effective method of increasing L-arginine levels in the body than L-arginine supplementation. It results in reduced tiredness and improved endurance for both aerobic and anaerobic prolonged exercise. There is not enough evidence to support the claim that L-citrulline supplementation improves power output during exercise. L-Carnitine L-Tartrate: A study found that supplementation of L-carnitine L-tartrate reduced muscle tissue damage from exercise and helped to speed up recovery time. It is more commonly used to boost muscular performance than contribute to weight loss. Natural caffeine anhydrous (from coffee bean): Multiple studies have shown that caffeine boosts energy levels and alertness, as well as mildly boosting the metabolism, causing a small increase in the number of calories used by the body. The weight loss effects shown in studies are small, and some studies have been inconclusive. Green tea leaf extract: This natural tea is packed with antioxidants called polyphenols, which help prevent damage caused by free radicals. Catechins found in green tea are proven to burn fat, especially when used in conjunction with caffeine, which further increases fat oxidation. It is a source of caffeine. Green coffee bean extract: Studies indicate that slight weight loss may be caused by chlorogenic acid, which is present in unroasted or green coffee beans. It appears to inhibit glucose into the bloodstream. However, there are concerns about some of the clinical evidence that has been used to prove this ingredient. Despite hundreds of articles about the ingredient, an investigation found that all randomized controlled trials were carried out on very small amounts of people for a very short time. The safety and effective dose have not been established. This is a source of caffeine. Does Atomic Strength Nutrition Resurrection Have Any Side Effects? No side effects have been reported for this supplement that we can find. However, some of the ingredients have some side effects. Tyrosine is tolerated generally, but it can cause some side effects including nausea, headache, fatigue, heartburn, and joint pain. Supplements containing arginine can cause some side effects such as abdominal pain, bloating, diarrhoea, gout, blood abnormalities, allergies, airway inflammation, worsening of asthma, and low blood pressure. There are also several sources of caffeine in the product which may cause issues such as jitters, anxiety, disruption to sleep patterns, and increased heart rate to those with a low tolerance to caffeine. Are There Any Customer Reviews For Atomic Strength Nutrition Resurrection? Does Atomic Strength Nutrition Resurrection Offer a Money-Back Guarantee? Atomic Strength Nutrition offer a full 90-day money-back guarantee. Where Can I Buy Atomic Strength Nutrition Resurrection? You can buy it from the Atomic Strength Nutrition website, for $39.99 for a months supply (approx). It can also be purchased in gyms and leisure outlets across the USA. The Muscle Watchdog does not recommend Atomic Strength Nutrition Resurrection.